Save Me (Hangul: 구해줘; RR: Guhaejwo) is a South Korean television series starring Ok Taec-yeon, Seo Ye-ji, and Jo Sung-ha. 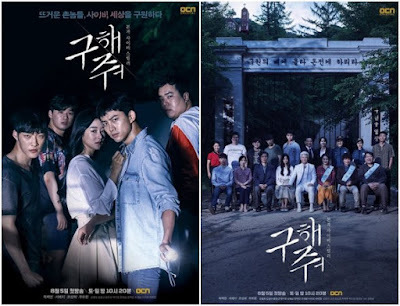 The series airs on OCN every Saturday and Sunday at 22:20 (KST). Plot: A girl is surrounded by suspicious people and quietly whispers, “Save me!” in a dark neighborhood alleyway, and a couple of unemployed youths hear her and run to her rescue. They discover that she’s trapped in some kind of pseudo-religious cult and try to help her, but what ensues is a sequence of horrifying tension-filled events that make us wonder more about the science of the human psyche.